365 New Days – Hello 2015! 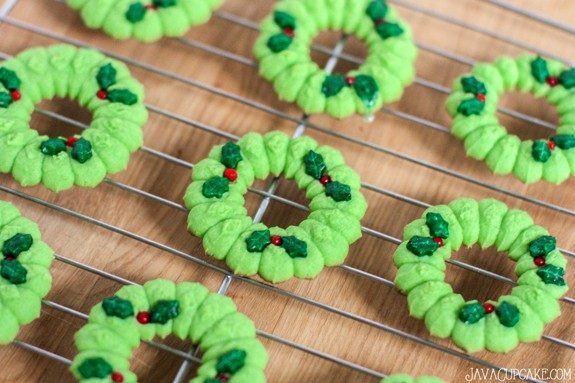 These are so darn cute and I love that they are gluten free. I would first make baked doughnuts. I’d bake some cookies for my sister. 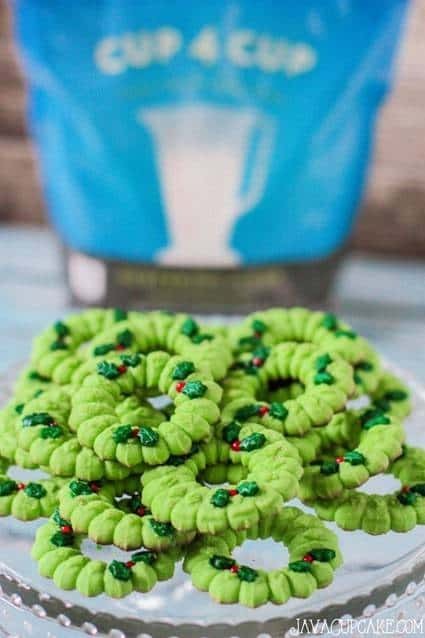 I would love to try and make these, thank you for,posting the recipe! LOVE this! My grandmother and aunt are both gluten free and we were just discussing whether or not their beloved spritz cookies would turn out. I had thrown out the idea of Cup 4 Cup so it’s great to hear that it worked. They’re gorgeous!! I’d love to win and share the flour with my sweet family. These are adorable! I have had Cup4Cup on my “Purchase” list forever know. I would make cinnamon rolls. 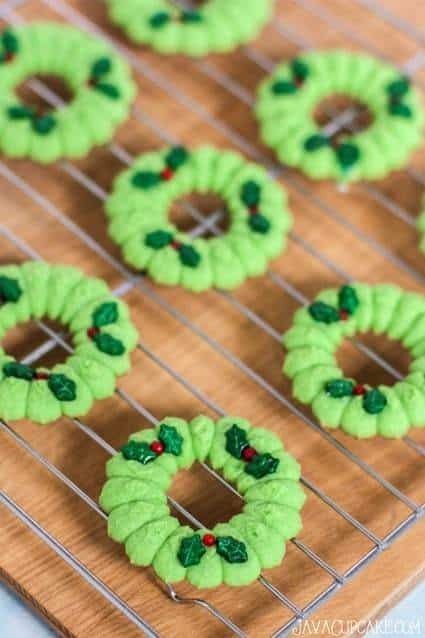 I would love to be able to make yummy cookies like this for my gluten-free family. I’m making the Bouchon cookbook GF Brioche rolls for Christmas. I’m not GF but friends are and I love baking. I’ve made madeleines and whoopie pies also with the C4C. I would make a cookies! I love Cup4Cup! I would definitely bake cookies. Three Quarters of our family is Gluten Free. 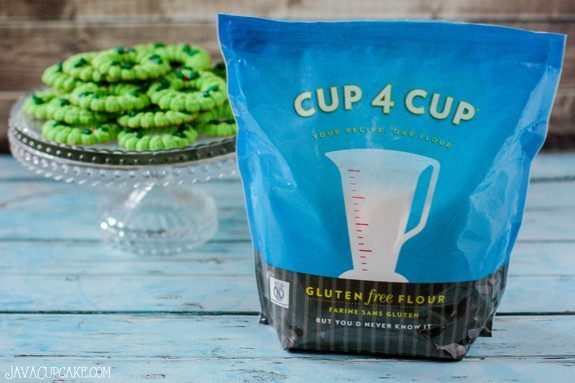 I am thrilled that Cup 4 Cup is such a great substitute for regular flour. Looking forward to trying the GF brownie mix too! Thanks for another awesome post, Betsy. I particularly like your pictures!!! 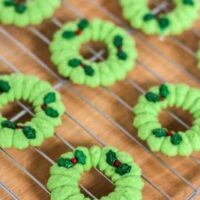 I’d like to try making cookies. Prettiest cookies I eer did see! And I cannot believe they’re gluten-free, that’s amazing!! We are planning to make spritz cookies tomorrow and were going to use cup4cup. Now I don’t have to search for a recipe in the morning. We’ve never cooked with weighing before. About how much is 185 grams of cup4cup in a measuring cup? 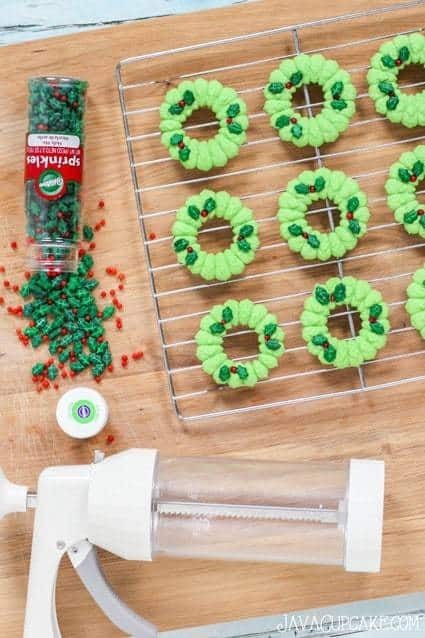 I would love to try these products in my sugar cookie recipe. I have so many friends who eat gluten free…they’d be pretty happy about that, too! For my Mom I will bake gf version of what every one else can have. I would make these cookies. Curious if you can substitute something for the butter and milk. My sister is dairy and gf so I’m wondering if I could substitute margarine. But I don’t know what you need the whole milk for.